Design is growing as a discipline and many new fields are emerging. One of those is Service Design. 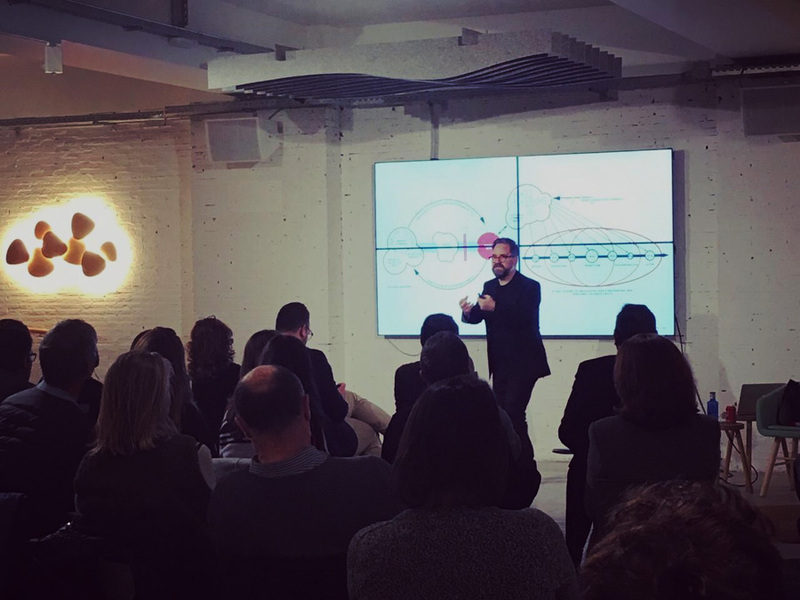 Some questions arise, for example: you know what it is, how service design is related to branding, how you can use service design in your company, what the future of service design is. What’s service design? How could we understand the service design process? Oh, my dear, service design is… J …Service design is the orchestration of touch points over time to deliver experiences and to address needs. It is an iterative process. It is about seeing things from the customers’ point of view and co-design in a multidisciplinary approach. It is important because over 70% of the economy is based on services. What kind of questions should we ask ourselves when getting into a service design process? Firstly ask who is the service for and how can we design for the best experience from their perspective, whilst not forgetting those who will also have to deliver the service. Through service design you can deliver better services for people. The Service Designer is part of a team, a coordinator of many groups of people and systems, a facilitator: a person that really needs to understand human nature, their needs but also their desires. What are the main milestones in a service design process? Like many design processes and of course easily relatable to design thinking, it is about raising your empathy to see the world from the customers’ point of view, to investigate, visualize, map and make tangible the design challenge. This is the first milestone. To do this we co-design with customers and staff alike. This is about creating first insights. After this we start to ideate. Through ideating we gain more insight and start to innovate for a contingent furture. From here we must prototype and test, which due to the temporality of services means we have to enact aspects of our designs. It’s like theatre! We make props and play through service scenarios! The prototyping gives us further insight and we then ideate more. This is process that goes back and forth until we come with final concepts that are communicated through customer journeys, complex service blueprints and some form of experiential communications, such as mock ups. Yesterday you were talking about “Sacred Services” and Football, how service design gives an answer and enriches a match experience? Service design can help by improving some of the functional elements of the service surrounding the planning and delivery of a professional football game; ticketing, security, food and drinks, queuing, etc. However the process that I have developed that integrates theory from social anthropology relating to the meaningful focuses also on how to heighten the meaningful around the soccer experience. Football experiences depend not only on the play on field but also on a contextual and cultural understanding of the moment, the sense of self in place and of belonging that can lead to highly emotional and meaningful moments. What’s the relation between service design and branding? Well without branding the service design has no clear experiential direction. With the customer centricity of service design you can go off in all kinds of directions trying to please the customer. When we integrate branding into the development of the customer experience we address customer needs, but within the experiential framework of the brand. Under your point of view, how do you envisage the evolution of Design Service? Currently I think there are three areas of growth in service design. We have seen for many years service design being applied to new landscapes and context. It is being adopted by many service companies but increasingly by product manufacturers who see the potential to offer greater value to their customers by servitising their products. This therefore is one growth area, the servitisation of goods. Such an approach could help consumers to change from the environmentally costly use of products to services that offer the same levels of value. It would negate the need of companies to be constantly tempting consumers to buy new stuff to remain profitable, where new features and upgrades could be offered through the services they offer. The second area is the move to highly experiential and also transformational services. Using service design, companies are increasingly getting better at identifying and fixing many of the functional issues in their service provision. They are also becoming progressively customer centric. This will eventually become the norm and the future differentiator in the market will be to lift the experiential element of their services. Savvy service providers will boost the experiential in their service provision to deliver truly extraordinary experiences, even in the mundane with what we call the extraordinary ordinary experience. Furthermore with the growth of the transformational economy where consumers want to find meaning and to be changed by the services and goods they consume, we have to look to ways to deliver ‘meaning driven innovation’ in the services we design. Finally service design has to be much more interdisciplinary. This is especially the case in public service innovation where service design is increasingly becoming utilized to improve not only front end service provision but also within the complex often bureaucratic systems that deliver them. Here there is a need for new interdisciplinary competences but also a systems oriented approach. Would you like to share with us something else? Only this. Next time you invite me to an event with delicious Cava afterwards, please make sure I don’t have to take a 06:00 flight to Nuremberg the day after for a long day of meetings. But seriously thanks a lot for inviting me to talk at your event. I really enjoyed it and meeting such interesting members. Hope the next time I am in Madrid will be to see my team Burnley football club play Real.